I’ve been critical of Bluetooth before. 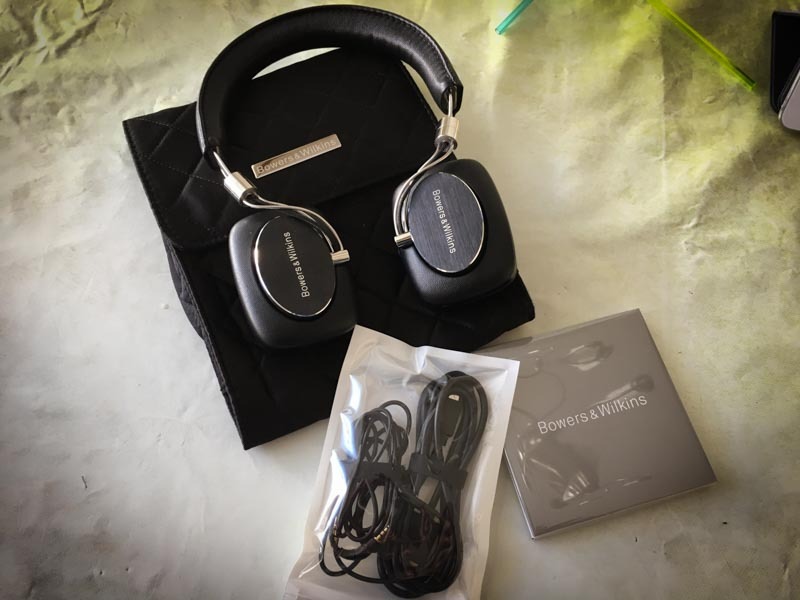 In my mind it’s nowhere near ready to be the default way we listen to music… but when my dear Bowers & Wilkins P5 headphones1 started exhibiting balance problems, the nice people from the support department offered, among different options, to replace them with a discounted Wireless P5 model. I figured what the hell, let’s try this brave new world where everything has to run on batteries and on different versions of different protocols. Now you must realize that those are pretty much premium Bluetooth headphones. I got them at a 50% discount, but they otherwise sell for around $400. Even then, they’re much better that I expected. Barely heavier than the wired model, and with excellent battery life. I noted a few glitches in audio playback but I haven’t checked whether wireless was to blame, or whether it was the streaming or player app being at fault. The thing that I was mostly wondering about was how it handles multiple devices. Our wireless speakers at home2 have a lot of trouble figuring out what phone (between mine and my wife’s) to play from. My headphones would typically – on a daily basis – switch between my phone (for music and podcasts) and my trusty, original Nexus 7 tablet (which I use to run Plex and watch TV shows on the go). I sure didn’t want to go through all the trouble we typically have to go through with the speakers. Well I can report that it works fine, but not in the way you would expect. I have no idea how or why, but my headphones just won’t connect automatically to any of those devices. I have to connect to them manually3, which is frankly fine by me since it takes slightly less time than untangling a cable4 and plugging it, especially on Android where you can do a lot more system automation than on iOS (on my Nexus 7 it basically takes me a swipe and a tap, whereas on iOS I don’t think there’s a way around going in the Settings apps manually). However, the simple fact that I have no idea if this is a feature or a bug should tell you all you need to know about the state of Bluetooth.